The annual River Festival returns to Stratford-upon-Avon the first weekend in July 2017. The festival is now into its 9th year and promises just as much fun as ever. As a celebration of the town and the River Avon that runs alongside it, the festival brings to the town a wonderful selection of free events, craft markets, live music and great food and drink stalls! Stratford-upon-Avon is perhaps most famous for being the birth place, and resting place of Shakespeare. And you will certainly find many allusions to the playwright throughout his historic home town. 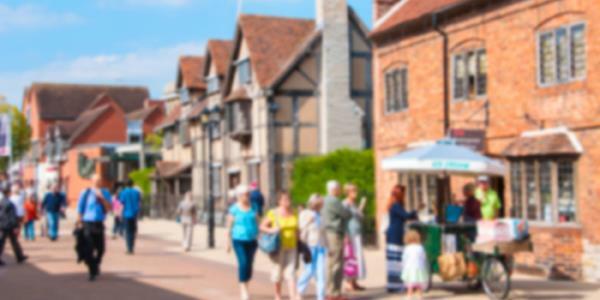 The narrow streets are full of Tudor buildings (including Shakespeare’s birthplace) and independent shops to explore. The public Bancroft Gardens alongside the river are popular with picnickers and you’ll often see rowing boats on the river in summer or narrow boats floating down the Stratford-upon-Avon Canal. It’s a bustling town at the best of times so when the River Festival comes to town it always has a really good vibe. It takes place on the Recreation Ground, along the eastern bank of the river. This two-day extravaganza is full of fun and even won the Tourism Initiative of the Year Award for 2016!